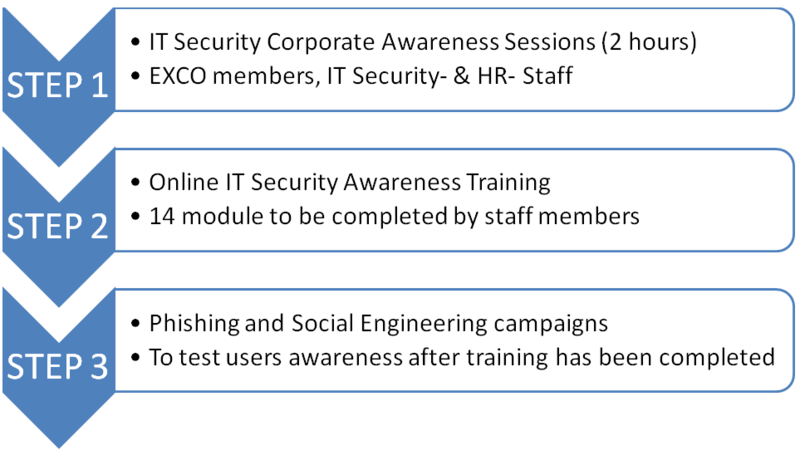 According to studies conducted globally, organisations are starting to realize there really is a need for IT Security Awareness Training. “More than half (51%) connect their own devices or gadgets to their work PC… a quarter of who do so every day”. “More than half (51%) had no idea how to update the anti-virus protection on their company PC”. “Five percent say they have accessed areas of their IT system they should not have”. One of the greatest threats to information security could actually come from within your company or organisation. Inside ‘attacks’ have been noted to be some of the most dangerous since these people are already quite familiar with the infrastructure. It is not always disgruntled workers and corporate spies who are a threat. Often, it is the non-malicious, uninformed employee. The focus will be on uninformed users who can do harm to your network by visiting websites infected with malware, responding to phishing e-mails, storing their login information in an unsecured location, or even giving out sensitive information over the phone when exposed to social engineering. Help identify suspicious communication to eliminate Social Engineering. 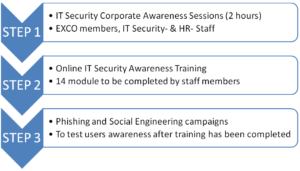 Identifying and handling Phishing emails. Identify and avoid suspicious communication on Social Networks. Identify and avoid suspicious links while Surfing the Web. This service is provided in 3 steps. Please click info@gtsp.co.za to request a quote.